NEW YORK -- Two people were shot to death Monday at a carnival celebrating Caribbean culture in the hours before the city’s annual West Indian Day Parade. Two others were shot and injured, reports CBS New York. 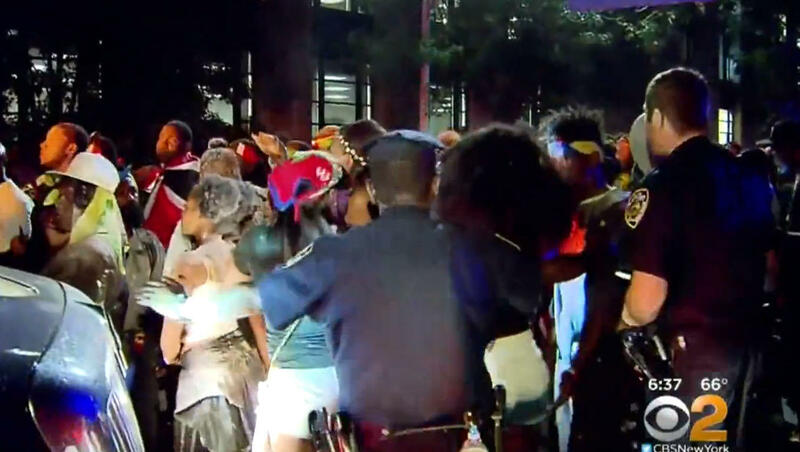 A male in his late teens or early 20s was shot in the chest at around 3:50 a.m. Monday in Brooklyn during J’ouvert, the New York Police Department said. He was taken to a hospital, where he died. A 66-year-old woman was hurt while dodging bullets at the same location and a 72-year-old woman was shot in the arm, the station reported. About 25 minutes later, a 22-year-old woman was shot in the head just a block away, police said. She died at a hospital. Police say they’re investigating whether the shootings are related. Another man in his 20s who was shot and injured is reportedly now being treated in stable condition, the station reports. A woman was also stabbed in the area, but police said she refused medical attention. The NYPD had planned to double the number of officers patrolling the neighborhood where a procession of steel drums and costumed revelers was set to kick off at 4 a.m. for J’ouvert. The department also added 42 new security cameras to watch over an estimated 250,000 revelers and illuminated this year’s celebration with 200 light towers. For the first time, organizers of the parade were required to get a permit. The changes come a year after Carey Gabay, a 43-year-old lawyer who had worked for Gov. Andrew Cuomo and was deputy counsel of the state’s economic development agency, was shot in the head as two street gangs exchanged gunshots during J’ouvert festivities. Earlier the same morning, a Bronx man, Denentro Josiah, was stabbed to death during festivities. In 2014, a man was fatally shot and two people wounded during the celebration. Organizers say the early morning festivities that led to what is now J’ouvert started in the 1980s. The tradition originated in the Caribbean and is celebrated in several North American cities with West Indian communities, including Boston and Toronto. City officials and community organizers have long chafed at the perception that J’ouvert, and the even larger West Indian Day American Day parade that follows hours later, are intrinsically hospitable to violence. Fliers distributed by police in conjunction with community groups ahead of the festivities reminded the public that two people were killed last year during J’ouvert, reports CBS New York.